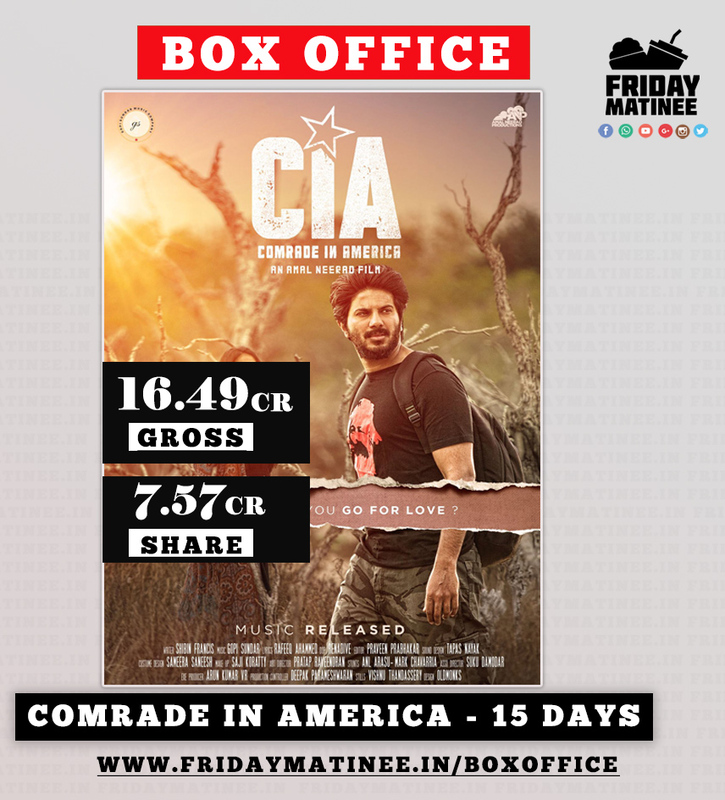 Comrade in America which took Humongous Opening across the state was able to sustain well last week also despite the mixed word of mouth. The word of mouth has been improved since it was negative after fans shows as it halted the movie a lot.But the Dulquer-Amal Neerad Factor worked out in the Boxoffice and word of mouth improved as the expectations went down. Malabar was the major contributor for CIA with Central Kerala being the Second and South Kerala being third. Now,we have to see whether this one crosses the 20 cr mark as it will definitely cross dulquer ‘s previous release Jomonte Suvisheshangal ‘s 17.20cr.